Elements don't need to be created in the Control Center, they can also be created in the Scan application. Start the Scan application and log in to the database with your username. 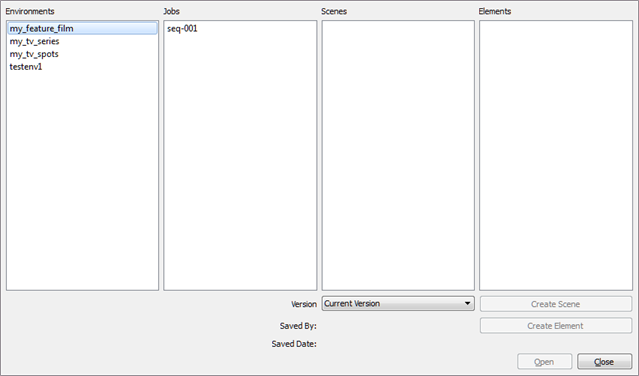 The Database Selector dialog box opens, displaying the Environments available from the Harmony database. Select the Environment, Job and Scene in which you want to add elements. If your system administrator did not complete the resolution configuration tasks, a warning message displays. This message notifies you that the resolution.conf file was not properly inserted in the configuration folder. 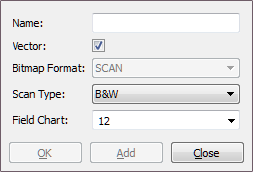 The Scan application opens and the Create Element dialog box opens. In the Name field, type the new element’s name. Select Vector option if the element is to be vectorized. 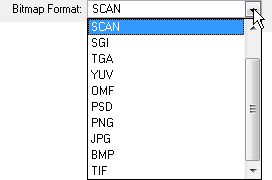 Select the bitmap format of your element; this list is only available if you did not select the Vector option. Colour: Creates a colour bitmap element. Greyscale: Creates a greyscale bitmap element. B&W: Creates a vector-based element that is going to be painted using the Harmony or Paint modules. Select the field chart size of your element. Click OK to add the element and return to the Database Selector. Click Add to add the element and keep the dialog box open to add more. Click Close to cancel and return to the Database Selector without adding an element.